Amazon is planning to open a second headquarters (in Amazon speak, HQ2), in another city – not in Seattle. I worry for the city that next falls victim to Amazon, but this is a good thing for Seattle. We as a city are struggling to catch up to Amazon’s expansion and the influx of many other high tech companies and tens of thousands of employees and contractors. 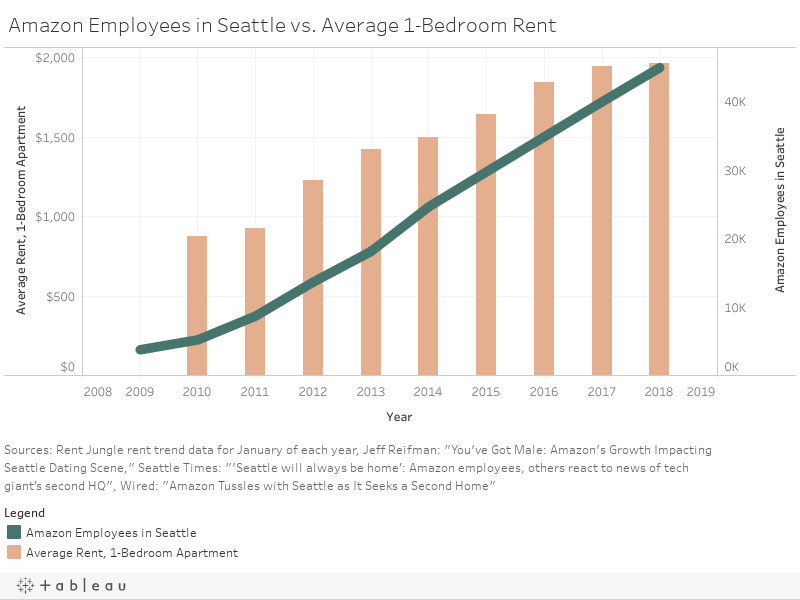 While it has led to an economic boom in Seattle, that boom has primarily benefitted tech workers at the top and left everyone else with higher rents, higher property taxes, traffic congestion and a bitter taste in our mouths. Amazon has been a sociopathic roommate, sucking up our resources and refusing to participate in daily upkeep. Yesterday, the roommate announced that instead of making us do all of its chores, it will outsource some of its laundry to another city. Good. We are still trying to catch up with the employment boom of the past five years. Amazon is still hiring thousands of new employees in Seattle. After the unexpected announcement that Jeff Bezos and company want to move, Governor Jay Inslee and Mayor Ed Murray have hinted that they are scrambling to find ways to appease Amazon’s desires. Don’t do it. Let them go find more and greener pastures to overgraze. In fact, celebrate it! Don’t repeat what happened with Boeing, where we gave the company everything it wanted and billions in tax incentives to stay in Washington. What happened? They laid off Washington workers and sent the jobs to South Carolina. Corporations like Boeing and Amazon are not good citizens; they don’t care about us. With Amazon developing a second headquarters, it gives us a little breathing room to build good mass transit, create affordable housing, and open up pathways into higher education for the future workforce. That is what we need, and that is what Amazon needs for its current and still growing-by-the-thousands-wherever-HQ2-ends-up workforce in Seattle. The local income tax on the very wealthy that the Seattle City Council unanimously passed will help provide the revenues to enable this physical and human infrastructure development. It also makes our tax system more fair, as the rich only pay 2.4% of their income in state and local taxes, while the poor pay 16.8%. The income tax is facing multiple lawsuits from rich people who don’t want to pay their fair share of taxes. They have already started to say that Amazon’s threat to take some if its employees elsewhere strengthens their case, as they claim entrepreneurs are leaving to escape an insurmountable tax burden. But if anything, Amazon’s threat strengthens our case. Seattle area taxes are dwarfed by income taxes in the vast majority of states and cities in the US, especially those in the IT hubs of the Silicon Valley and Massachusetts. Even with the new Seattle income tax, rich people will still pay significantly less in taxes than almost anywhere else in the country. 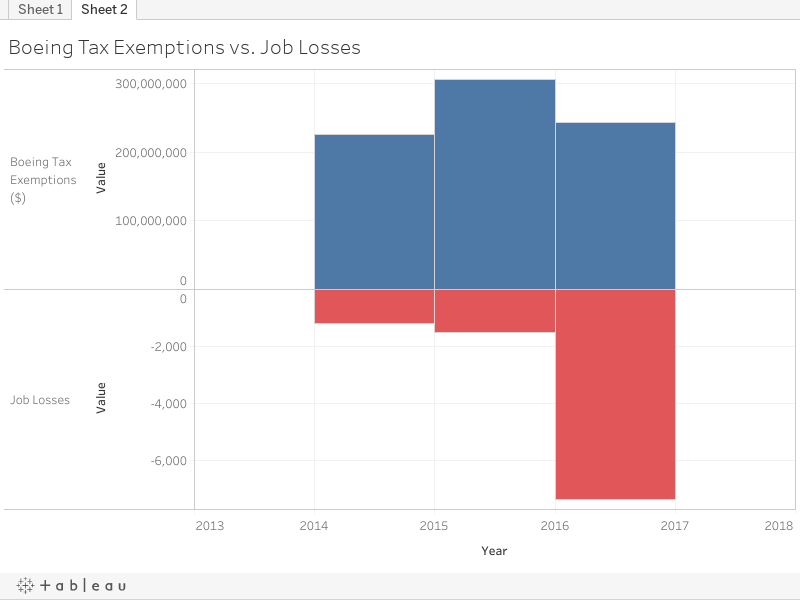 Our income tax provides Seattle with needed revenues, creating opportunity for all people in the future, while being completely marginal to any business location decision. Amazon threatening to leave is just acting like a rich, spoiled child – if the game isn’t played by their rules, they take one of their balls and build a second playfield. From the Seattle Times’ take on Amazon’s press release: “…. Amazon’s own list of helpful characteristics for a second headquarters included availability and diversity of housing, as well as access to mass transit, features that are in shorter supply in Seattle these days as the region deals with record housing prices and a traffic crunch.” In short, Amazon comes to Seattle, creates problems, doesn’t help to fix them, then starts to expand elsewhere over problems it created! John Boyd, a high-priced location consultant, noted that Toronto could be a top contender for Amazon’s new headquarters, because it’s easier to hire foreign workers in Canada than in the United States. This same consultant thinks other likely candidates for Amazon are New Jersey, South Florida, Northern Virginia, and Atlanta. All of these areas – except South Florida – have income taxes, all at higher rates than in Seattle. Seattle has Amazon, Tableau, Microsoft, Google, Expedia, Facebook, LinkedIn, and a host of other IT cutting edge businesses within our city limits. Amazon creating a second headquarters enables us to make sure we don’t become dependent on one global corporation. That’s what we allowed with Boeing, letting it be a monopoly producer and a monopolistic buyer in the Puget Sound area. Amazon is just slowing down its gobbling up of office space and undertaking new construction. There is no need for Murray, Inslee or anyone else to kowtow to Amazon with conversations about “their needs.” What our elected public servants in Seattle should do is use this chance to get ahead of the development, population, and business curve with planning, good transit, and accelerated housing. And if you are a bicyclist like me, it would nice to cycle down 7th Avenue and not fear for your life when you pass the never-ending construction around Amazon!